With the vital help of citizen scientists and partner organisations ZSL has been working for the survival of Critically Endangered European eels. European eels (Anguilla anguilla) once thrived in London’s rivers but the number of young joining the adult populations have dropped dramatically since the 1980s and the species is now classified as ‘Critically Endangered’ by the IUCN Red List of Threatened Species. ZSL’s work on European eels started in 2005, and now ranges from informing international conservation policy, leading UK research on eel behaviour to regional-scale best practice conservation delivery in the Thames Catchment. Here, through research, river improvements, public engagement and advising policy, we work in partnership with the Environment Agency and a network of other organizations to address the key conservation issues facing eels. From March to June each year ZSL and project partners recruit citizen scientists at sites across the Thames region to help check eel traps and measure and release any eels present. This gives us vital data on the number of young joining the adult population and can highlight the impact of barriers, one of the principle threats to eels in freshwater. – watch the video above for more information and click the link below to find out how you can get involved. A principle conservation action for eel in freshwater is to restore migratory pathways by removing barriers such as weirs or, if removal is not possible, the impact of barriers can be partially mitigated by installing eel passes that allow eels to move upstream over them. With over 2000 barriers to migration the Thames rivers are highly fragmented. 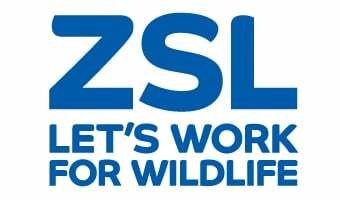 One of ZSL’s key goals in the region is to reconnect migration routes. So far eel passes commissioned by ZSL have made approximately 16 football pitches (137.03 hectares) of additional habitat accessible. Eel pass allowing eels to bypass man made structures such as weirs and completing their life cycle stages upstream. ZSL has monitored the recruitment of juvenile eels into the Thames River Basin since 2005. The data collected to date supports the findings that the annual recruitment of the European eel across its range has reduced by 90-95% since the 1980s. It is likely that this reduction in recruitment will have had an impact on the numbers of adult eel in the Thames River Basin. In 2019, ZSL will repeat surveys of adult eels undertaken in 1987 and 2011 to assess the geographic spread of eel populations in the Thames and identify the effect of the range of measures that have been introduced to improve eel stocks. ZSL is a key partner in delivering the Environment Agency’s Thames Eel Management Plan . The management plan outlines key targets and measures to improve the population and conservation of the European eel. Given the scale of the challenges faced by eels, working together is essential. – if you or your organization would like to join us in this work please get in touch. Joe Pecorelli and Thea Cox work on the European eel conservation project. Find out about the incredible life cycle of the Critically Endangered European eel and their amazing migration.